Frederick Beasley, the fifth provost of the University of Pennsylvania, was born near Edenton, North Carolina, in 1777. Beasley spent most of his youth in and around the family home. In 1793 he matriculated at the College of New Jersey (later Princeton University) where he earned the degree of bachelor of arts in 1797. Following his graduation Beasley served as a tutor at the College of New Jersey while he studied theology under its president, Dr. Samuel Stanhope Smith. After Beasley was ordained a deacon in the Episcopal Church in 1801 and a priest the following year, he became the rector of a church in Elizabethtown, New Jersey. Beasley did not long remain in Elizabethtown; he was named rector of a larger church in Albany, New York, in 1803. Six years later, Beasley was on the move again, this time to Baltimore, Maryland, where he was named rector of a still larger congregation. Because the strain and rigor of serving as rector caused Beasley’s health to weaken, by 1813 he was looking for a less strenuous line of work. That very year he readily accepted the positions of provost and professor of moral philosophy in the College of the University of Pennsylvania. 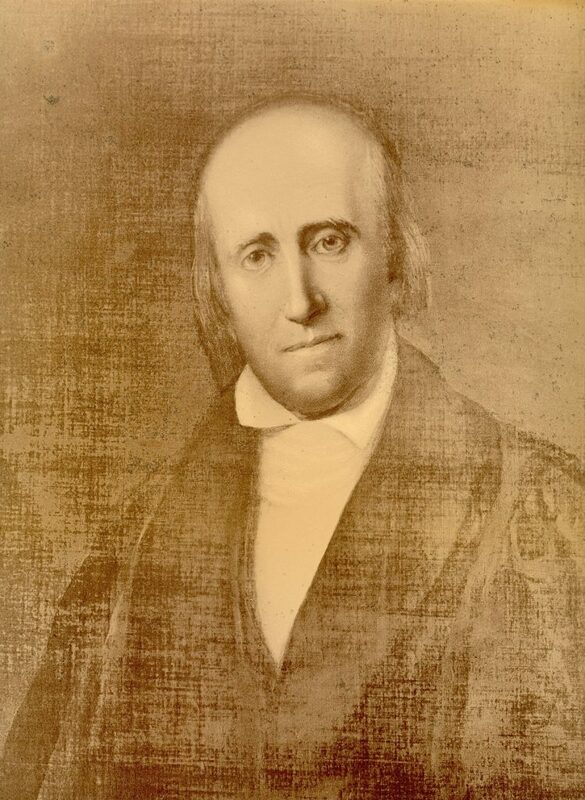 Beasley served at Penn until 1828, during which time he received the honorary degree of doctor of divinity from the University in 1815 (as well as one from Columbia that same year), raised the entrance age in the College from fifteen to sixteen years of age, increased the number of required years needed to earn a degree, and repeatedly preached against duels amongst Penn’s students. While serving as Penn’s provost, Beasley wrote his most well-known book, A Search of Truth in Science and the Human Mind; this strongly supported the philosophies of John Locke at the same time that it presented Beasley’s well-known conservative views. Beasley’s conservative views carried over from philosophy to his personal grooming; far after it went out of style, he still powdered his hair on a daily basis. Beasley resigned from his position as provost in 1828 following a reorganization of the Department of Arts at the University. After serving at the University of Pennsylvania he became the rector of a church in Trenton, New Jersey, where he remained until 1836 when his health forced him to retire. He then moved back to Elizabethtown, New Jersey, where he died in 1845. Beasley was seen by many who knew him to be very kind and personable. Some sources suggest, however, that the short man was too kind for his own good, as others were able to take advantage of his niceness and push their agendas during his tenure as provost. Beasley was twice married and had a total of ten children, one by his first wife and nine by his second. One of his children by his second wife, the Reverend Frederick Williamson Beasley, attended the University of Pennsylvania where he earned the degree of bachelor of arts and later received the honorary degree of doctor of divinity.